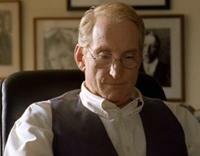 Most of the following credits were kindly provided to me years ago by Charles Dance's agent. I've tried to be as accurate as possible in updating the information for the years since 1993, but if you notice any errors or omissions, ! IMPORTANT NOTE: Titles are linked to the relevant US Internet Movie Database (IMDb) page for information purposes. See the Amazon 'SHOP' link on those pages for purchase options. Please check compatibility with your player before ordering any video or DVD. Spring 2007: Charles Dance is looking for funding to get his screen adaptation of "The Inn at the End of the World" [Alice Thomas Ellis, 1990] off the ground. 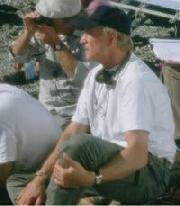 He will produce and direct the film as he did the highly-acclaimed Ladies in Lavender. Knife Edge (working title Funny Farm) -- in limbo after the money ran out last year; director Tony Hickox insists it will be released but no further info as of Spring 2007. NOTE: the US version had 15 minutes cut from it (read about the missing scenes). Please visit Amazon UK for the unedited version; check compatibility with your player before ordering. ¹ Taped rather than filmed. Charles joined The Royal Shakespeare Company in 1975 and appeared as FORTINBRAS/REYNALDO in Hamlet; THE SPANISH AMBASSADOR in Perkin Warbeck; CATEXBY in Richard III; LANCASTER in Henry IV (Parts I & II); OLIVER in As You Like It; WILLIAMS in Henry V; BUCKINGHAM in Henry VI Part II; FREEMAN in The Jail Diary of Albie Sachs; TULLUS AUFIDIUS in Coriolanus. While on tour with The Royal Shakespeare Company to New York in 1975, Charles took over the title role in Henry V, and in 1979 while with the Company in Paris he took over the title role in Coriolanus for two performances. Charles played the role of NESTOR in the West End production of Irma La Douce (1979), and then appeared as MORRIS TOWNSEND in the tour of The Heiress (1980). In 1989, Charles joined The Royal Shakespeare Company in Stratford to play the title role in Coriolanus, directed by Terry Hands and John Barton, which was later seen in Newcastle and at the London Barbican Centre. In 1996, Charles appeared as HARRY in the National Film Theatre's performance of Jim Barton's screenplay Dark Blood. In 1998, Charles appeared as VERSHININ in The Three Sisters, directed by Bill Bryden, at the Birmingham Repertory Theatre. 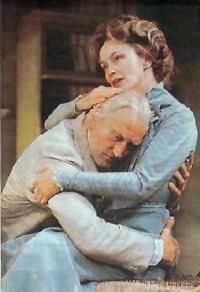 In 1999, Charles appeared as JOHN HALDER in Good, directed by Michael Grandage, at the Donmar Warehouse in London. In 2000, Charles appeared as JAMES TYRONE in Long Day's Journey Into Night, directed by Robin Phillips, at the Lyric Theatre in London. In 2001-02, Charles guest-starred several times as HIMSELF in The Play What I Wrote, directed by Kenneth Branagh, at the Wyndham Theatre in London and the Milton Keynes Theatre. In 2007, Charles performed William Beckett's one-man play EH JOE at the Parade Theatre in Sydney, Australia. He also joined Ralph Fiennes and Barry McGovern along with Helen Morse in a reading of poetry and prose by Beckett at the Sydney Festival. Beginning in September 2007, Charles appeared as C.S. LEWIS in Shadowlands as it toured the UK, and from October through December at the Wyndham's Theatre in London's West End. Images this page: Coriolanus © Ivan Kyncl; Pascali's Island © Avenue Pictures; Alien3 © 20th Century Fox; Space Truckers © Warner Bros.